Nintendo did the right thing giving those jumping ship for the DSi and giving them some free DSi games. How? 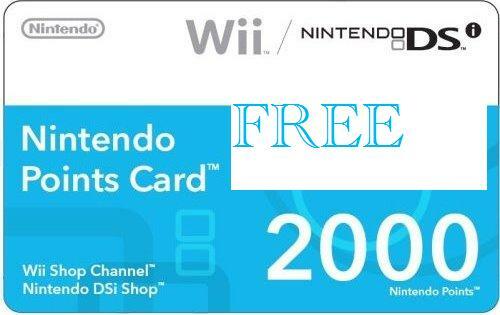 By giving away Free DSi Points. Purchase a new Nintendo DSi™ system and access the Nintendo DSi Shop through your wireless broadband connection by October 5, 2009. 1,000 Nintendo DSi Points™ will then be automatically credited to your Nintendo DSi Shop account. Download Free DSi Games here! Share this page on Facebook, Twitter or any other social networking site! More Free Nintendo DS Games here! And lastly, subscribe to our newsletter for a chance at getting free dsi points via raffle! Simple right? If you’re looking for a quick fix like a free dsi points generator or DSi points generator, don’t bother. They’re fakes and are likely to be keyloggers that will allow hackers to steal your DSi points 🙁 You don’t want that to happen don’t you? Wii points hacks work in the same way so just follow the steps mentioned above. Once you’ve received your DSi points, head on to this page for your free DSi games!